And this is where everyone laughs at me. 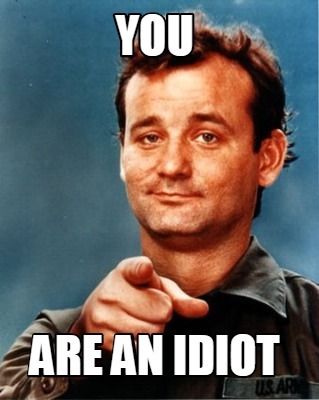 "No one uses EIQ you dummy," is what you're probably thinking. Well yeah, the too good to be true way to quantify pesticide toxicity is just that, too good to be true. It really is too bad because having an easy-to-use way to assign pesticides a toxicity was very convenient and promised to be a very powerful decision making tool. 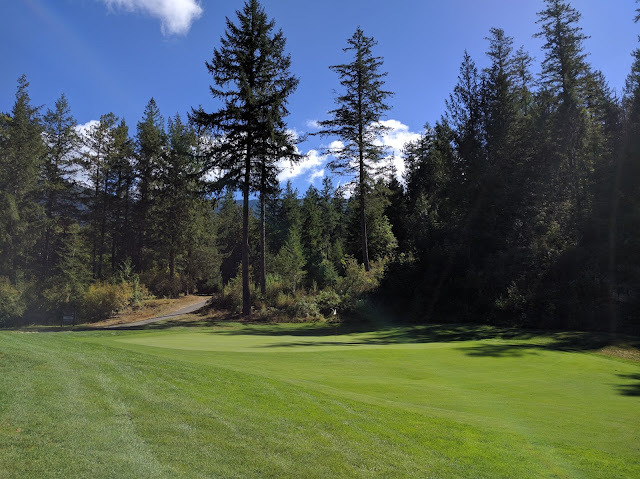 For those of you who are concerned about quantifying pesticide toxicity it is helpful to learn why the EIQ doesn't work and what, if anything, we can use to quantify our pesticide use going forward. Basically, the reason that that EIQ is flawed is that it relies way too heavily on application rate. The higher the application rate the higher the EIQ would be. The impact on rate was so high that a weed scientist, Andrew Kniss, assigned random values to the EIQ toxicity parameters 73,000,000 times and found that the random values "provided the same recommendation as the EIQ about 88% of the time." Basically, the EIQ is not better than nothing. I first experienced this when trying to calculate the EIQ of Civitas. As it has a relatively high usage rate compared to other products, it had an insanely high EIQ. According to the EIQ it had an environmental impact comparable to chlorothalonil or quintozene. Quintozene has been banned here on golf courses so how could a product with a similar environmental impact be registered? It's simple, it couldn't, and this shows why the EIQ is not a good way to quantify pesticides. It gets even better if you calculate the EIQ of your irrigation system. Yep, 1 acre inch of water has an EIQ of >1.5 million! I don't know why we need to go any further explaining why it's flawed. Either way I highly suggest you check out the blog Control Freaks. It has a lot of good info from agriculture that can carry over to golf courses. @PenderSuper but in a nutshell, what part of the "environment" do you want to protect, and what tradeoffs are you willing to make? Basically we need to know where we are applying the pesticide, know the potential impacts they could have, and select a product which limits those risks as much as possible. If this seems complicated it is because it is. But then I started thinking about all the work that our country's (Canada eh) Pest Management Regulatory Agency does to ensure that products are safe to use and ensure that the label has information on safe handling and use. Obviously, if we read and follow the label we shouldn't have any problems. If problems arise then maybe we need to look at updating the labels or removing the product from use as is currently done on a regular basis. The way I see it is that cost is still an important metric, if it wasn't I could use the most expensive and effective products all the time. I can't do that (and wouldn't even if I had the budget) so I still want to keep costs as low as possible. If I introduce a new product such as phosphite or silica or mineral oil, it should be cost neutral or vastly better for the environment. I am definitely willing to take one in the pocket book for the environment to a point. I also think that not using pesticides is better than using them if you have the option. This is why I still stand behind my philosophy of not using preventative applications because this makes it almost impossible to reduce pesticide use unless they come out with more effective, cheaper and less toxic products. 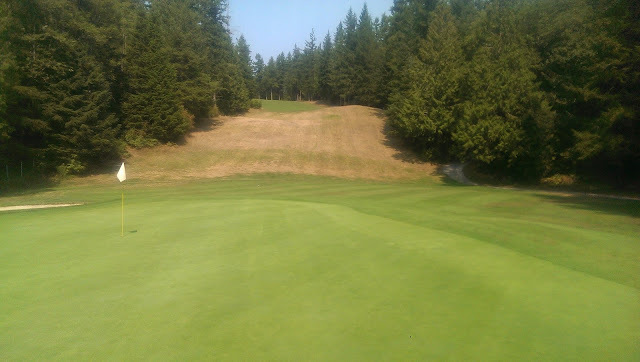 In the end, nothing can costs less, provide good playing conditions, and has no toxicity. 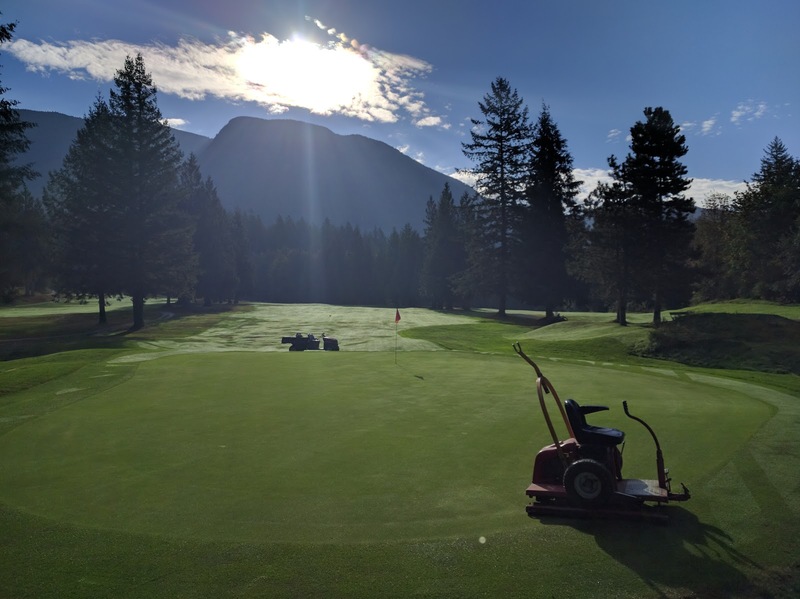 We can get by with acceptable playing conditions without the need for pesticides everywhere on our course except for the putting greens. 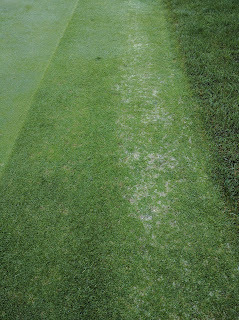 dollar spot on the right! 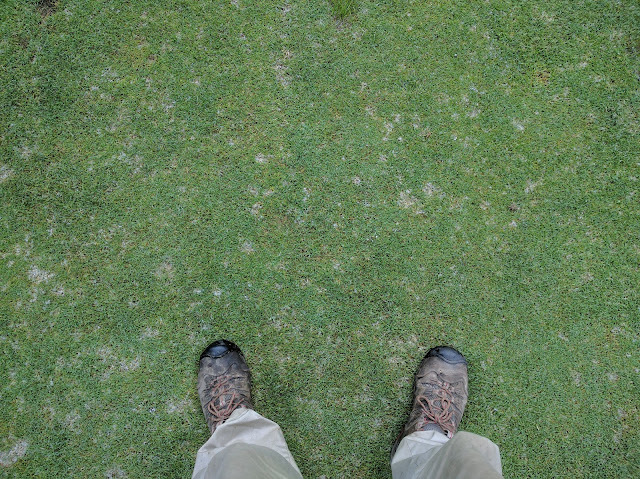 It's a balancing act (that I really enjoy) to maximize turf quality, minimize costs and hopefully reduce the impacts that pesticides can have (if any) on the environment. Case in point, this year I applied a fungicide on February 20. I did not need another broadcast traditional fungicide, despite having multiple disease outbreaks and difficult growing conditions, until the 4th of September. I could have easily applied 3 or 4 other pesticide applications in that time if I was applying them preventative or even if I was applying them at first sign of a disease. I was looking at active dollar spot for 3 months before a broadcast fungicide application was needed. 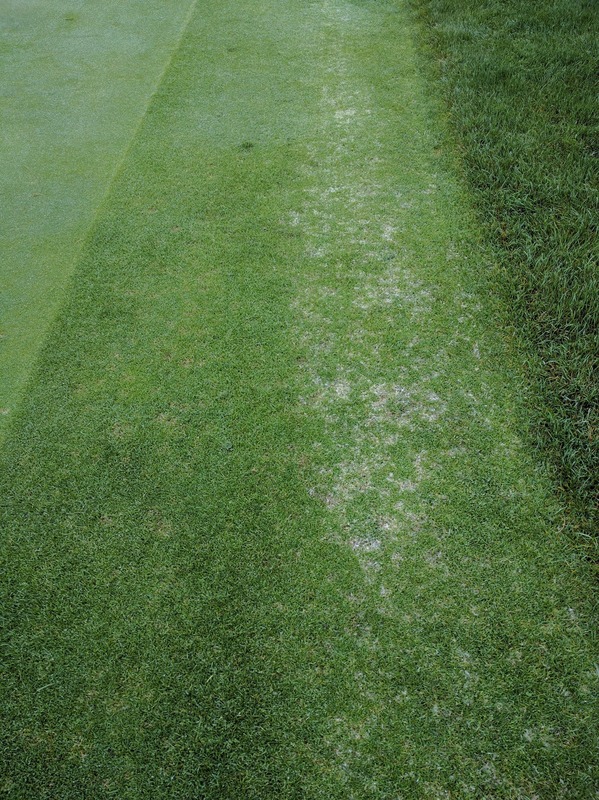 With the use of phosphite and possibly silica I was able to boost the plant's defenses which allowed me to use cultural practices to keep the disease at acceptable levels until I eventually lost the very long battle. In the end I applied less pesticide which cost less, had less impact than preventatives and I got full control of the disease with the lowest legal rate I could apply. So now I have to go back through the million posts where I talk about EIQ and insert a disclaimer link. In the end I learned that quantifying pesticide risk is a complicated thing to do and I plan to keep looking at ways to improve my decision making process to reduce the possibility of any negative impacts that the pesticides we do use will have on the environment.